I have never been any place with better weather than San Diego. It is sunny 263 days a year and day-time temperatures average 60°F in the winter and 80°F in the summer. It’s not dry enough to need chapstick and it’s not humid enough to frizz your hair. It rains less than 9″ a year, never has thunderstorms, and only snows in the mountains. When you plan outdoor activities in San Diego, you don’t have to have a “Plan B” weather contingency. There are LOTS of beautiful beaches and harbors in San Diego. From tide pools to fire pits and protected lagoons to prime surfing, each has its own unique qualities that make it special. Most San Diego beaches have free parking lots, lifeguards, restrooms, picnic tables, and even playgrounds to up the perfect beach score! Our family favorites are La Jolla Shores for kayak-surfing, Torrey Pines for boogie boarding, Pacific Beach for strolling along the Coastal Walk, and Mission Beach for people-watching. San Diego can boast about Balboa Park, which is even larger than Central Park in New York City. With lots of museums, gardens, theatres, historic buildings, hiking trails, and canyons, you’ll never run out of things to do! (read more about Balboa Park here). The San Diego Zoo is also in Balboa Park. Even my teenagers love Balboa Park! 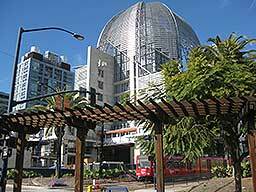 San Diego hosts the San Diego Zoo, Safari Park, and SeaWorld. Family entertainment doesn’t get any better! My favorite zoo exhibit is the Polar Bear Plunge, while the Cheetah Run at Safari is very impressive! At SeaWorld, you can get drenched in the splash zone of Shamu’s orca show. And then there’s the animals I can see in my own backyard (or nearby) — roadrunners, deer, red fox, quail, rabbits, doves, woodpeckers, and goldfinches plus the colorful garibaldi fish and playful sea lions you’ll see when you go snorkeling. Whale-watching tours are awesome too! 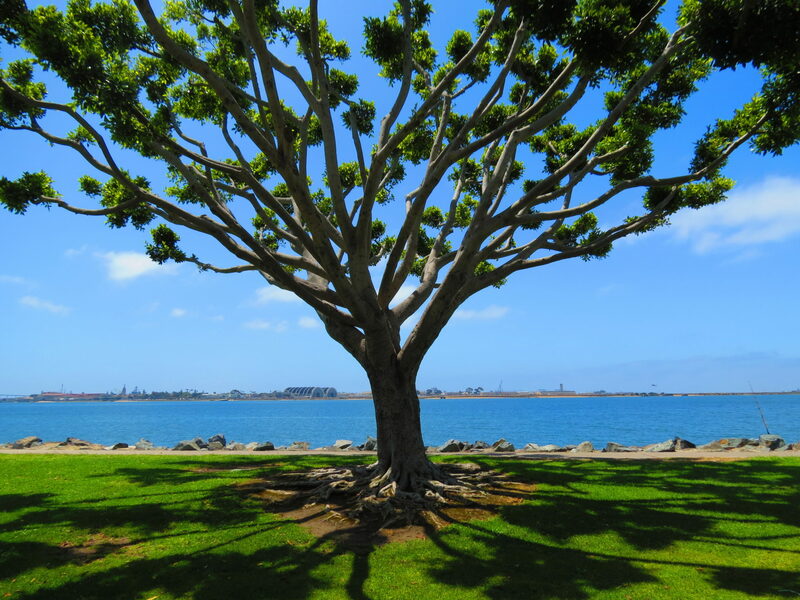 If you like being outdoors, you will love San Diego! There is so much available: hiking, sailing, kayaking, swimming, exploring tidepools, bicycling, running, hang gliding, camping, and much more (all the more enjoyable because of reason #1). I really like renting beach cruisers and riding along Pacific Beach and Mission Bay. Hiking in Torrey Pines is also fun–getting some exercise with the best beach views ever! And I’ve included a short video of my son-in-law’s ziplining antics to entertain you! San Diego has a great location for taking side trips. 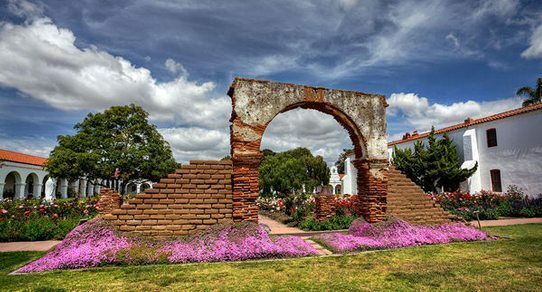 Within about a 60-mile radius, you can visit Mexico (passport required), Julian (historic gold-mining town in the mountains), Palomar Observatory (home of the 200-inch Hale Telescope), the U.S. Olympic Training Center in Chula Vista, or three of the 21 California Missions (San Diego de Alcala, San Luis Rey, and San Juan Capistrano). And that’s just a handful of day trip ideas. Normally, you might not travel to see a library, but you could change your mind when you see San Diego’s newest central library. Completed in 2013, the library has nine stories, a charter high school on two floors, an auditorium, cafe, a 3-D printing lab, genealogy center, outdoor garden courtyard, a teen center with computer games, art gallery, parking garage, and the most incredible views from the 3-story domed reading room. You could literally spend days there! Have you ever driven in Los Angeles or San Francisco? That’s definitely not San Diego traffic! Of course, there’s some rush hour traffic, but no “parking lots” on the freeway. Within San Diego County, you will find white sand beaches, deserts, scrub-brush mesas, fresh-water lakes, streams, gently rolling hills, and mountains (Hot Spring Mountain is the tallest at 6535 feet). You will also see pine trees, palms, and cactus. There are wide expanses of open fields and forests, even alongside major freeways. San Diego is home to several Navy and Marine Corps bases. Because of this, there are many attractions associated with the military: Ft. Rosecrans National Cemetery, MCRD Command Museum, the Midway Aircraft Carrier, annual Miramar Air Show, and Liberty Station. I am glad my children have been exposed to the military and their accomplishments here in San Diego. We have helped place flags at Ft. Rosecrans for Memorial Day, and that has taught our family to respect and honor the sacrifices of our military, too. I think San Diego is a better place because of the influence of the military here. I’ve really only touched on a few things that make San Diego stand out; there are certainly more. Perhaps I’m a little biased because our family has been in San Diego for 26 years. Every city has its pros and cons, but as I travel and compare, I am always happy to be returning to San Diego. It has been a good home to us. It will be a great place for you to visit! If you’ve been here before, what do you like best about San Diego? You’ll be glad to learn that I’ve partnered with GPSmyCity to create a GPS-guided app for this article. Just click on this link, and you can download my article FREE or you can upgrade to the GPS-embedded article for a small fee. That way, you can follow my path through these San Diego highlights without needing internet or using your mobile data! I’ll receive a few cents and that helps me to keep bringing you more fun travel tips. Oh man! I agree. San Diego truly is a wonderful place, both as a place to visit and a place to live! I love the weather and appreciate having so many FREE things to do there; visiting beaches, going on hikes, and walking around old town, Balboa, and downtown/seaport village. Very convincing reasons. I’d love to wander through the park and do a little hiking. Adore the photo of the tree, by the way. Great shot, great post. Thanks, Erin! I have to remind myself sometimes to get out and do all the good stuff. It’s so easy to take a place for granted when you live there. You had me at “Perfect Weather” 😉 Sounds like a fabulous place to visit. I can’t wait to see California! I love living in San Diego and never being more than an hour from any type of adventure or outing. And San Diego never feels like one of the biggest cities in the nation. It’s awesome! San Diego looks like a great city to visit. I like the beaches and all these lovely animals! It’s a great place to visit as a family. I only touched on a few things, but San Diego has so much to offer for all ages! A gorgeous city that’s for sure. You missed out some of my favorite parts though. I better write my own list. Thanks. I’d love to hear what you would add to the list! I’m sold! hehe I’ve actually been to San Diego, albeit only briefly, when I was a kid. We were on a day trip from LA to Seaworld but unfortunately I was so young I barely remember it. it’s definitely a place I’d love to see as an adult especially for that amazing weather, beaches and green open spaces. I NEED to see more of America – only been to NYC so far! New York City is a great start. Each state and large city adds a unique culture of its own. You would love San Diego, even though it’s not anything like NYC. I’ve somehow never been to San Diego even though I live on the west coast and have been to California several times. I’m not sure how I’ve always missed this beautiful city but your post has inspired me to make sure I get there soon. It looks like a perfect place to live! Not quite perfect, but certainly close! I’ve never visited San Diego but I like the sound of the weather being pretty consistent! I wish it was like that in the UK, we always need a warm jumper/raincoat/umbrella, just in case! I grew up in Seattle where the weather is more like the UK. I feel so spoiled now in San Diego! In all of the times I have been to California I always seem to pass over San Diego, even though everyone sings its praises as you have just done! I especially love point no.6 about location…I didn’t realize how close it was to Mexico and so many other interesting places to travel to (not that you have to leave San Diego because after reading your list, I’m hooked!). Thanks for sharing! When I was a kid my biological father was stationed in San Diego and my brother and I would visit him in the summer. It was always so much fun because San Diego has such a variety of interesting things to do. It’s a great city. You had me at perfect weather! Hot and my hair won’t go frizzy? Perfect!!! I haven’t visited in a few years but have a trip coming up in 2016. Would love to explore this library. It’s gorgeous. That first photo is just amazing. You’ve captured a perfect balance, of light and colour, and that tree looks so inviting – great eye! Well I’m sold! Looks like there is something for everyone here but being the outdoors type I think we would particularly love it! Oooh, that gorgeous California weather! San Diego is so beautiful!